RegenerOss Allograft is aseptically processed for maximum regenerative properties and safety. 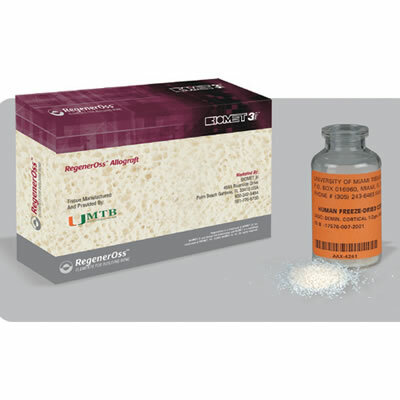 RegenerOss is obtained from the University of Miami Tissue Bank and offers a broad range of particulate graft options. Zimmer Biomet Launches 3i T3 Short Implant in U.S.